Fisk, who worked on both of Obama's campaigns as well as in his administration, is now available for speaking engagements. I am really thrilled to partner with APB. 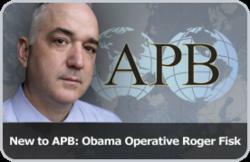 Nearly six years to the day since working then-Senator Obama’s presidential announcement in 2007, Roger Fisk has announced he is joining the American Program Bureau (APB), a Boston-based international speakers bureau, to share with audiences the lessons and stories of the Obama journey. An early addition to the Obama effort, Fisk worked 30 states in the first Obama campaign as the director of special events, then went home to Massachusetts where he worked as the Commonwealth’s state director in the general election. While on the road, Fisk was in charge of such high-profile events as “A More Perfect Union”—Obama’s historic speech on race in Philadelphia, March 2008—as well as the candidate’s appearances on 60 Minutes, Saturday Night Live and Good Morning America. For the first Obama term, Fisk served at the commerce department where he coordinated trade and diplomatic missions all over the world; in spring 2012 he went on to work the president’s reelection as a White House lead advance. Fisk also worked both inaugurations: in 2009 as Cabinet liaison and 2013 in contingency planning and operations. Prior to this, Roger Fisk spent many years in service to current Secretary of State John Kerry (as an intern in 1989; as part of the US Senate staff as a senior aide, 1996; on the Senate reelection team, 1990; and on the Kerry presidential campaign). He is a resident of Washington, D.C.